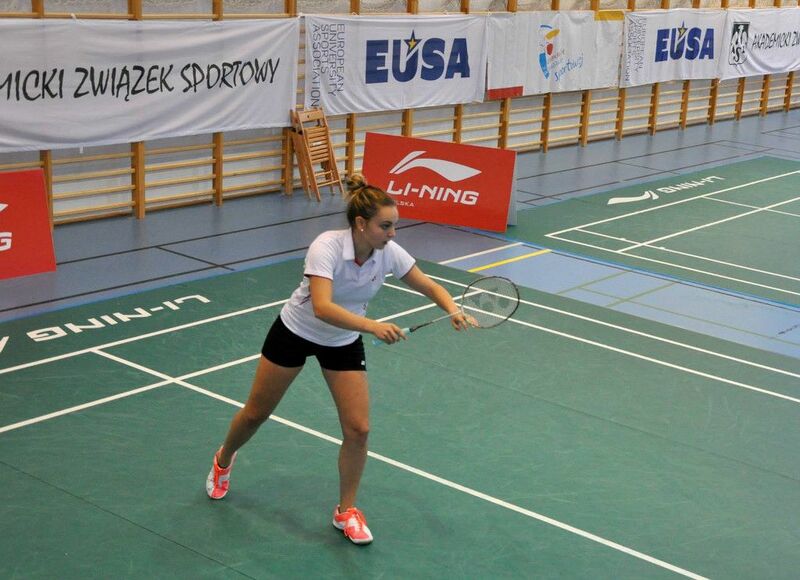 European Universities Championships in Badminton and Bridge took place in the Polish capital Warsaw between August 31 and September 6, 2015. The opening ceremony of the joint event was held on September 1. Several authorities attended the opening, including prof. Alojzy Z. Nowak and Tadeusz Tomaszewski, Vice-Rectors of the University of Warsaw, Secretary General of the Polish University Sports Federation (AZS) Mr Bartlomiej Korpak, Executive Committee member of the European University Sports Association (EUSA) Mr Fernando Parente and other invited guests, which together with the participants enjoyed the short ceremony at the University. 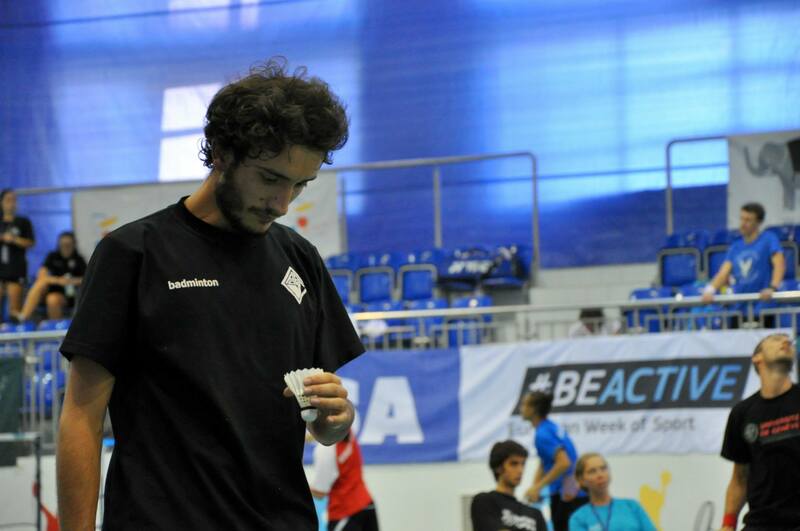 The participants carried out the march pass and then attended the ceremony, officially opening the championships. 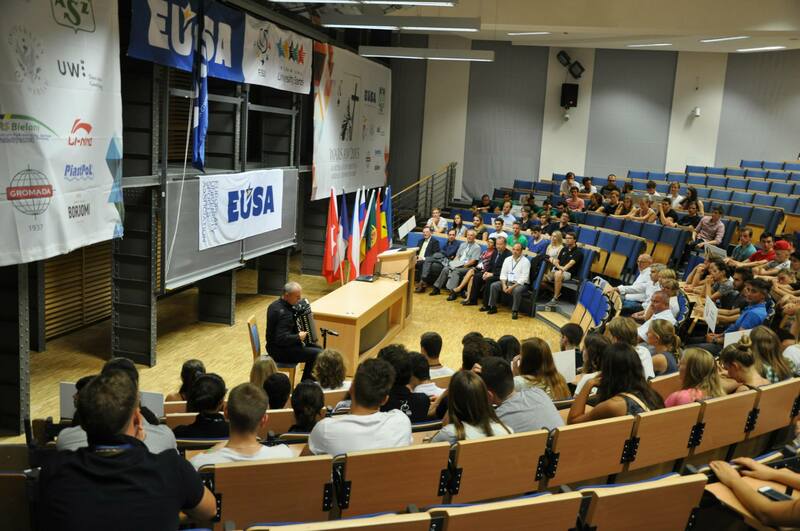 EUSA Executive Committee representative Mr Fernando Parente welcomed all participants and wished all the teams and participants who came to test their skills and abilities great competitions. He also thanked the Organizing Committee for all their contributions. EUSA Technical delegates and their assistants Mr Bastian Kruse and Isabelle Jobard for badminton, and Mr Geert Magerman for Bridge, together with the local hosts and the partners, are making sure the events run as smooth as possible. Both Badminton and Bridge championships started with the team competitions, offering exciting matches which are also being transmitted live online. The competitions are organised in cooperation with the governing sports bodies - the European Badminton Union (Badminton Europe) and the European Bridge League (EBL), and will conclude on September 6 with the final competitions, award and closing ceremony. The events are also used to promote the European Week of Sport, and the #BeActive campaign. 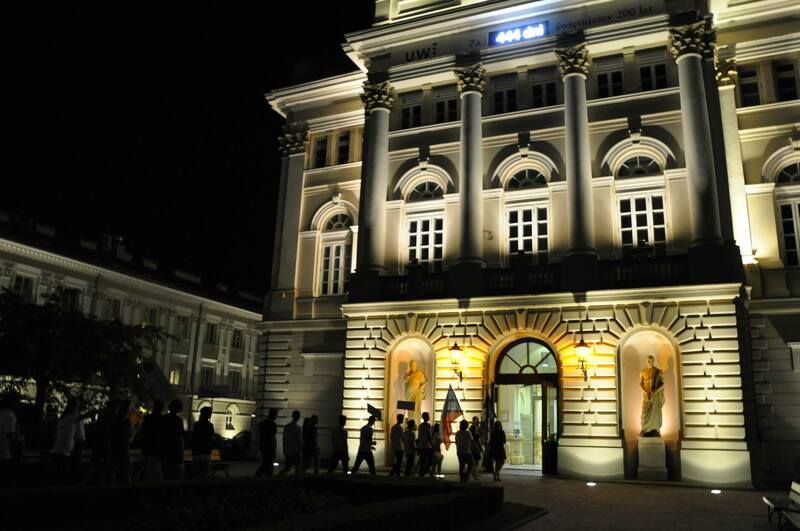 The European Universities Badminton and Bridge Championships 2015 concluded on September 6 with a Closing Ceremony in Warsaw, following the last matches. Over 100 participants representing 15 different universities from 9 countries took part in this year’s edition of the event in badminton and in bridge 12 teams representing universities from 8 countries took part. In the Badminton Team event the final took place on Sep 3 between Uludag University (Turkey) and University of Bordeaux (France). The final was won by Uludag University by 3 matches to 1, third places went to the Opole University (Poland) and Nizhny Novgorod State University (Russia). 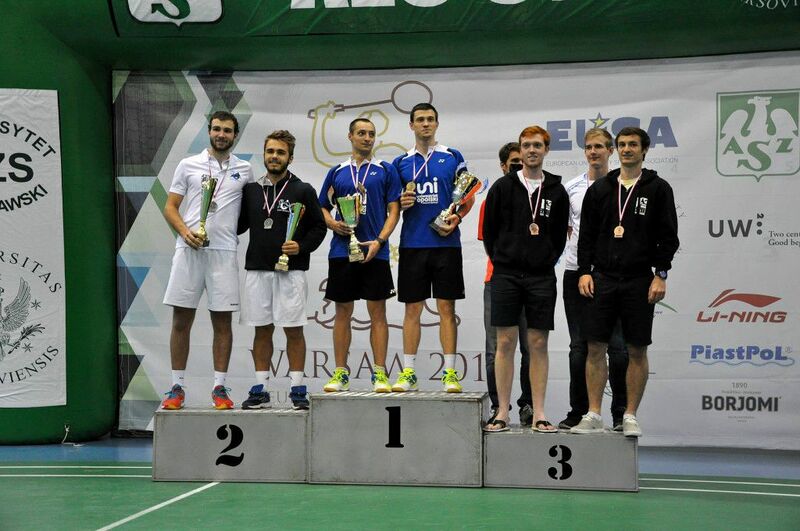 In men’s singles finals, the title of champion/s went to Mateusz Dubrowski (University Opole, POL) who won a thrilling final match against Sinan Zorlu (University Uludag, TUR). In women`s finals, the title of champion/s went to Ozge Bayrak (University Uludag) who won an exciting final match against teammate Neslihan Yigit. 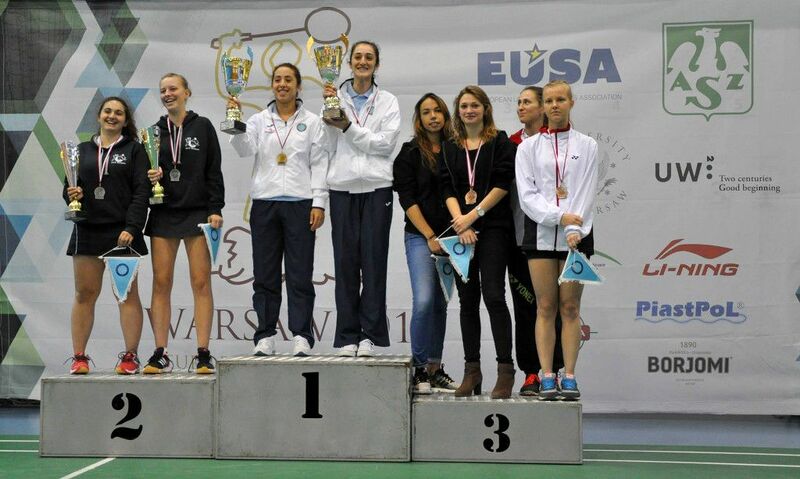 In the women's doubles event, Uludag University duo of Neslihan Yigit and Özge Bayrak were the hot favourites. The young pair won the gold medal by beating Delphine Delrue/Lauranne Rosello of the University of Bordeaux in two straight games. During the whole competition, the Turkish pair did not drop a single game. In the men's doubles event local heroes Pawel Pietryja / Mateusz Dubrowski (University Opole) could beat the young pair from Bordeaux Gregor Dunikowski/Thomas Vallez. Pawel Pietryja and Aneta Wojtkowska (University Opole) beat Thomas Vallez/Delphine Delrue (University Bordeaux) in straight games to take the mixed doubles title at the European Universities Championships. Medals and awards were presented by Fernando Parente, EUSA EC Member, Isabelle Jobard, Assistant Technical Delegate and Bastian Kruse, Technical Delegate accompanied by Polish officials. The Fairplay Award was given to The University of Bern. 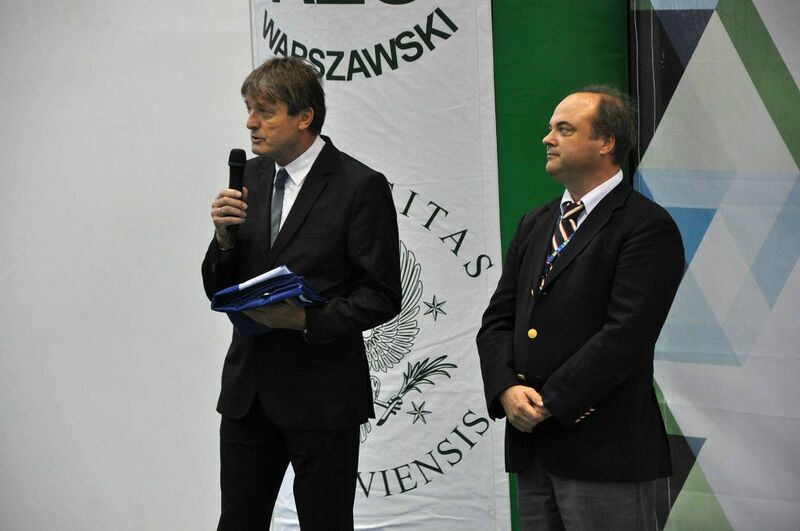 Award was presented by the Refereree of the championships Piotr Agacinski. 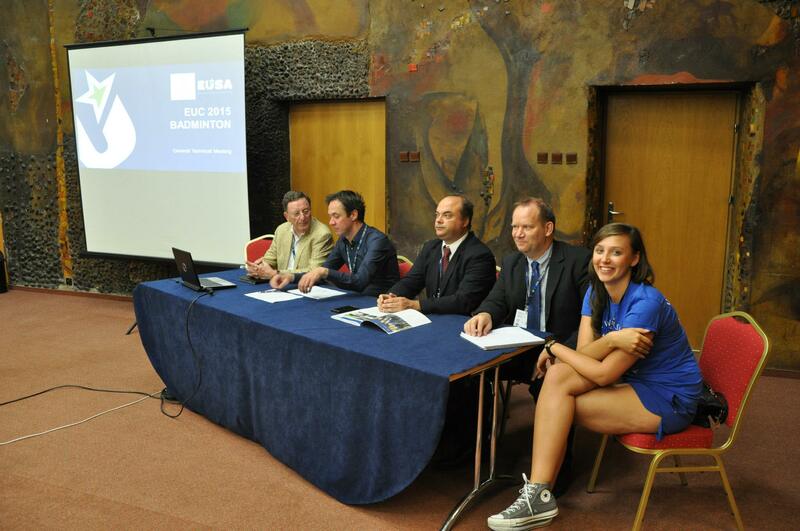 EUSA flag was passed to the University of Llubljana / Slovenia the organizers of the EUBC 2017 represented by the Slovenian University Sports Association (SUSA) – the President Milan Zvan and General Secretary Zvjezdan Mikic. Both events were organised in cooperation with the respective governing bodies - the European Badminton Union (Badminton Europe) and European Bridge League (EBL), also directly promoting the European Week of Sport. More info and links to pictures can be found at www.eucbadminton2015.eu for badminton and www.eucbridge2015.eu for bridge.